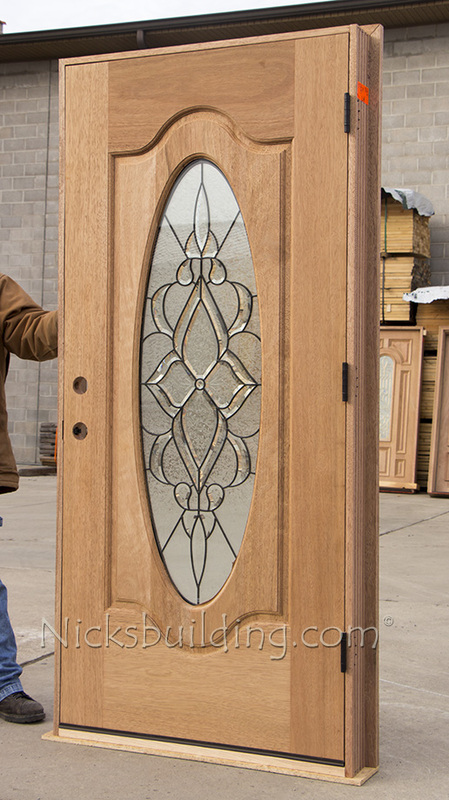 CL-106 3' 0" x 6' 8"
Solid Mahogany Entrance Door with Oval Glass. 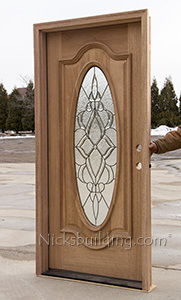 Insulated Beveled Frosted Glass with a Patina Caming. 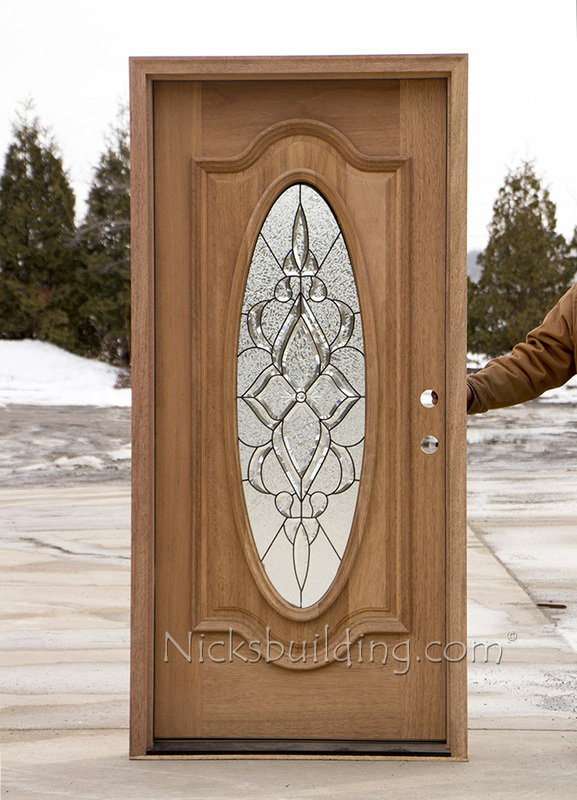 weather-stripping and door sweep, adjustable threshold. 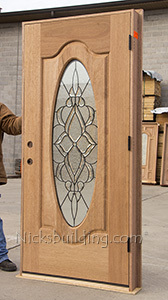 Unit Size: 37 3/4" x 81 1/2"
This Mahogany Front Door is Brand New and un-finished, Professional UV Finishing Available.